If you want to know how well your brand is doing, check how much brand content is coming from your audience. People trust the people in their network. They distrust advertising or faceless corporations for the most part. People care about people, not products or services. They want to engage with real stories, about real characters, not artificial ones. People are better than brands at creating native stories. They know the platform better and can produce stronger connections across platforms in real time. People are more playful than professionals in their stories. There is a big difference between what you do for fun versus what brands create for people that are supposed to be fun. People have a reason to be involved with their friend's story. Someone we know and love already is telling us a story about them, across a range of channels. People can develop long lasting relationships with audience's stories. The characters are real. They respond and reply most of the time. We are less likely to build a long-term relationship with artificially constructed characters. We know that their role will cease at the end of the campaign. People’s stories are live and constantly changing, which makes them more interesting than artificial constructed stories. They can add text, pictures, and videos as the story evolves in time. They can also take the story down a new path – it is their lives. The numbers favor the audience. 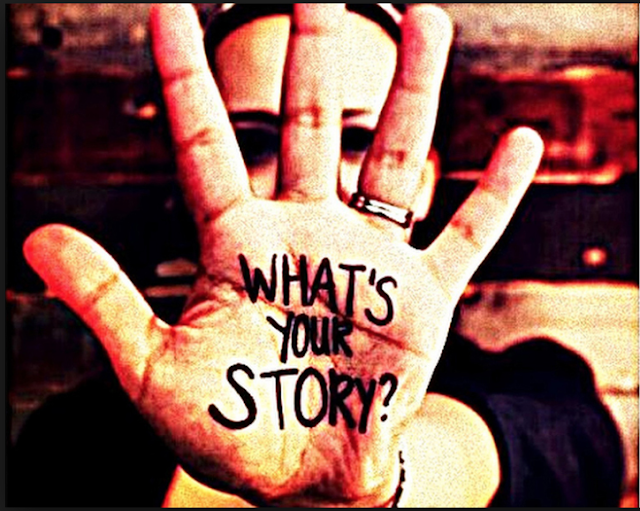 There are significantly more people, than brands, creating stories. Where does this leave us? In today's tsunami of content, if we want to stay relevant, we should focus on building story engines - facilitating stories about people told through people. These stories can go anywhere and take many forms. These are harder to ignite and control for brands, but the payoff is way bigger. Here are a few examples done right in 2016. 12,000 Mini Miracles was a campaign by WestJet that won the 2016 Shorty Award for best use of social media. The goal of the campaign was to motivate 12,000 WestJet employees around the world to perform and submit videos (via social media channels) of 12,000 mini miracles (or random acts of kindness) over a 24-hour period on December 9th. The campaign was mentioned in 400 media outlets in 214 countries with over 2 billion media impressions! A campaign miracle indeed! How do you entice people to buy a 21k first class airplane ticket? Experience. Specifically from people they can identify with. And let me tell you guys, Emirates is on top of their experience game this year. They upgraded YouTuber Casey Neistat from Business Class to First Class on a flight from Dubai to New York. Accidental? I think not. With 6,258,716 subscribers around a cumulative total of over a billion views for his videos, Emirates took over the web with a first-hand experience video published by Neistat. Looking pretty amazed and thrilled about his upgrade, Neistat covered the entire experience and went about highlighting the cabin’s features and perks in an entirely unscripted take. The video has received 27,600,002 views so far and counting. After watching him gawk at and enjoy the features of the plane, you’ll probably want to take that flight class too (if you can afford it that is). In 2017, we have a choice on how do we want to build our brand; Do we want to do it through professionally constructed stories or stories by real people?